Thermo NanoDrop ND-3300 Fluorospectrometer Fluorescence DNA RNA Protein Assay . New Life Scientific, Inc. The NanoDrop 3300 is in excellent cosmetic and functional condition. This instrument was professionally repainted by New Life Scientific technicians, allowing only the emblem and bottom to remain original. 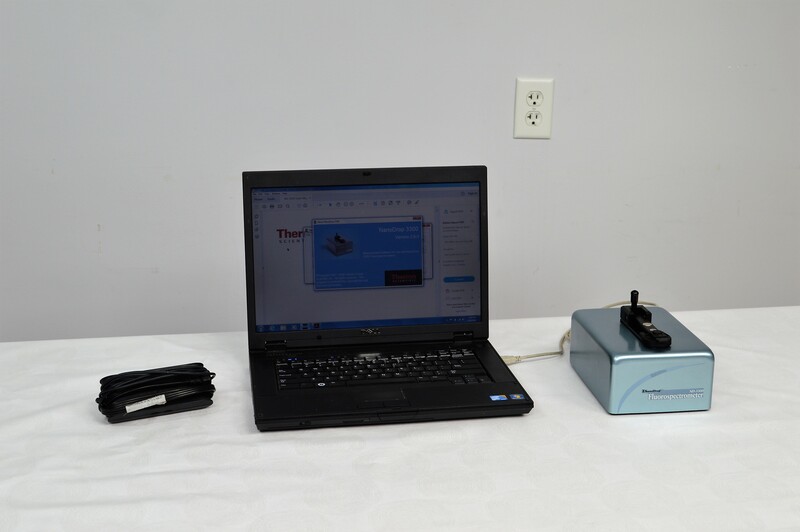 New Life Scientific technicians paired this instrument with NanoDrop software on a Dell laptop. This laptop has a fresh Windows 7 install, updates, antivirus software, and the NanoDrop manual. The software and instrument connected without errors and the instrument initialized.